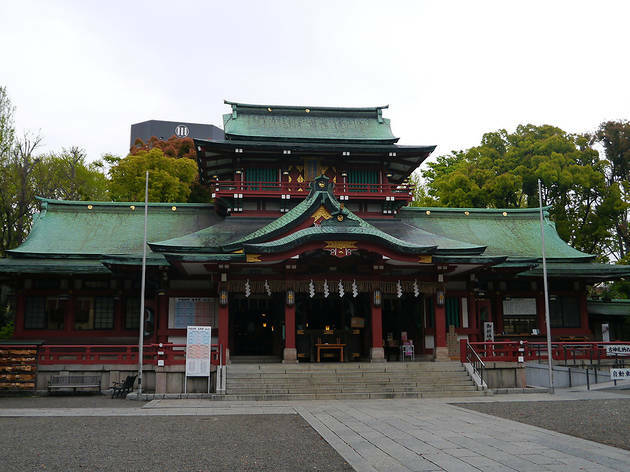 The largest Hachiman shrine (dedicated to the kami Hachiman) in Tokyo, this majestic spot is worth a visit for its impressive architecture, as well as for the huge torii gate in front of the shrine. 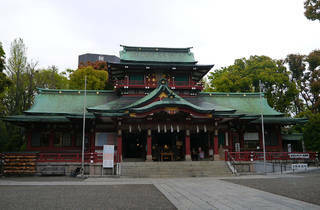 As the surrounding area used to be a base for fishermen going out to Tokyo Bay, the shrine sells amulets for luck and protection in fishing, and also holds regular flea markets. Taking place around the middle of August every year, the shrine festival is one of the three ‘great festivals’ of Edo and features mikoshi (portable shrine) processions, dance performances, and plenty of people throwing water on the participants.